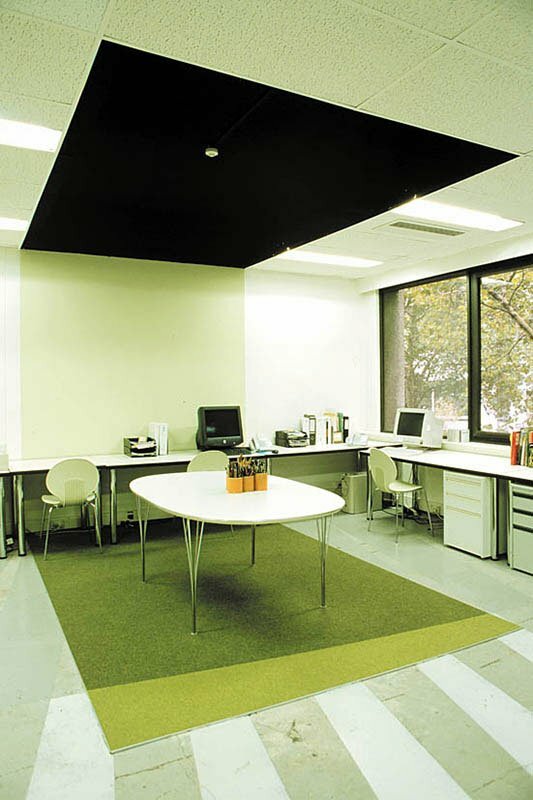 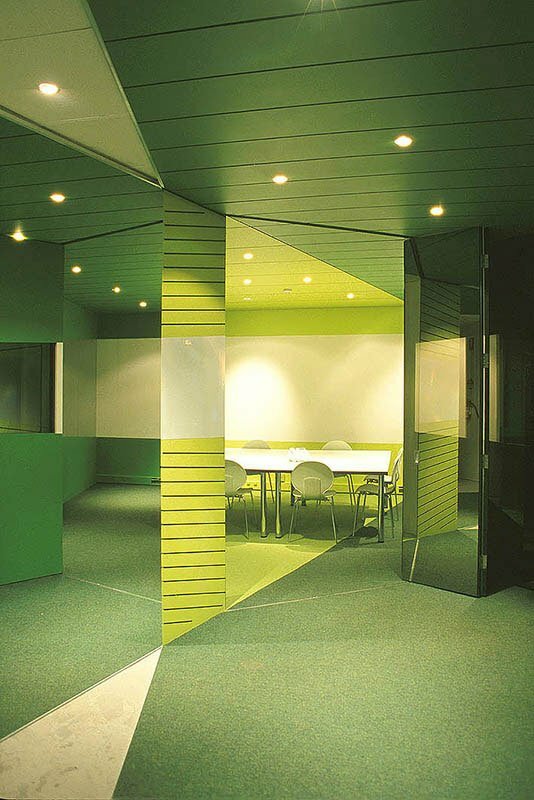 This interior fitout was for the Melbourne office of landscape architectural firm EDAW (who had recently merged with prominent Melbourne landscape architectural firm Paterson + Pettus). 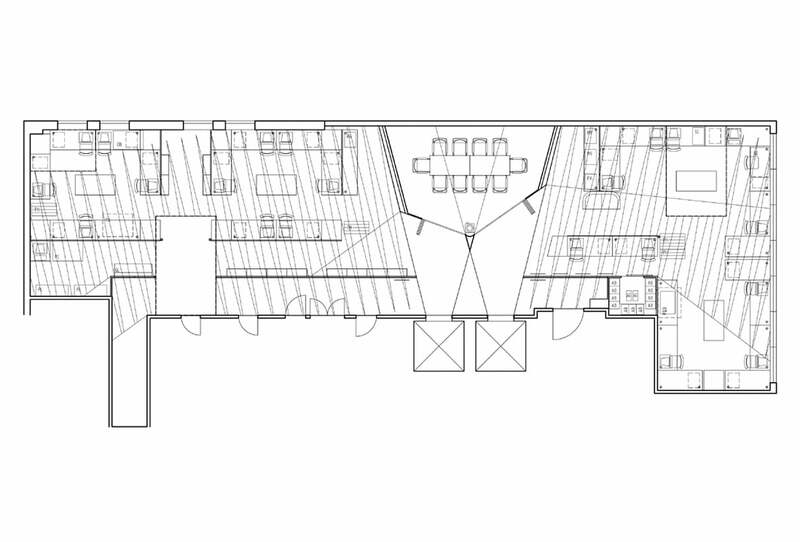 It was conceived as an imaginary landscape trapped inside the existing building, whilst at a functional level expressing and facilitating the merge of the two practices. 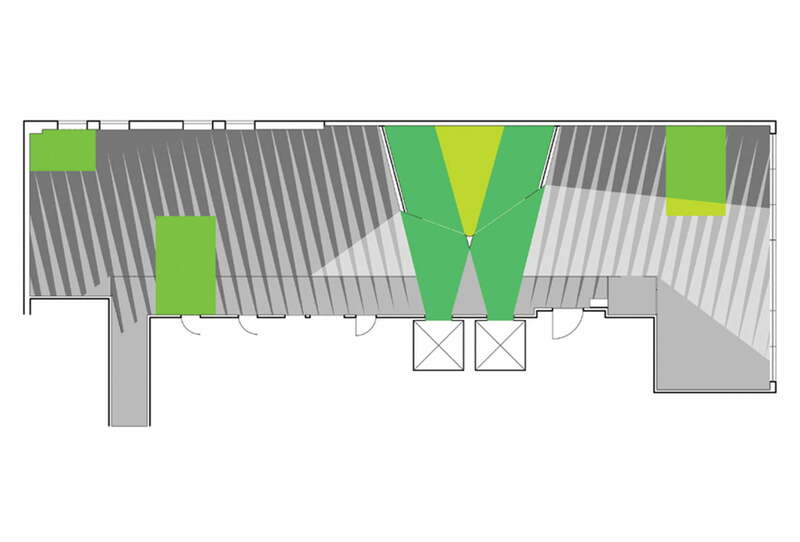 Observations about the existing space triggered engagement with the stereoscopic views from the lift cars serving the floor, and the literal ‘greening’ of a deliberately sparse interior through the cultivation of ‘virtual courtyards’. 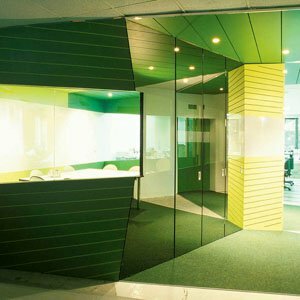 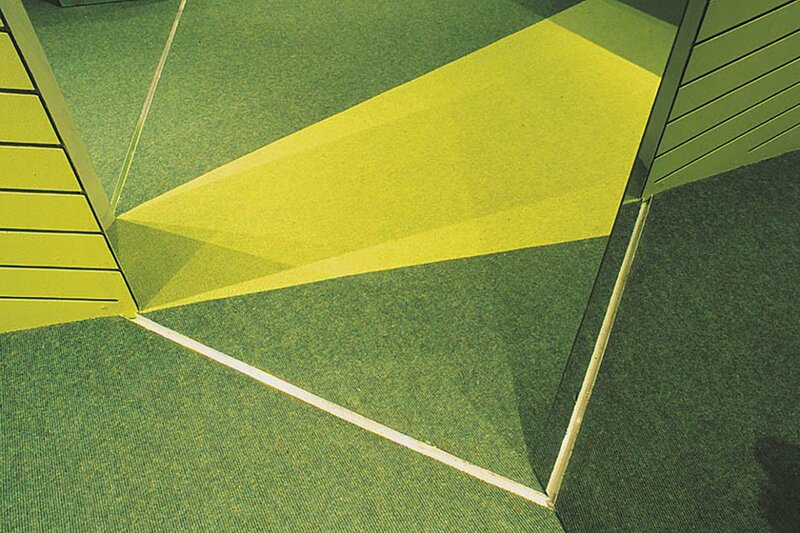 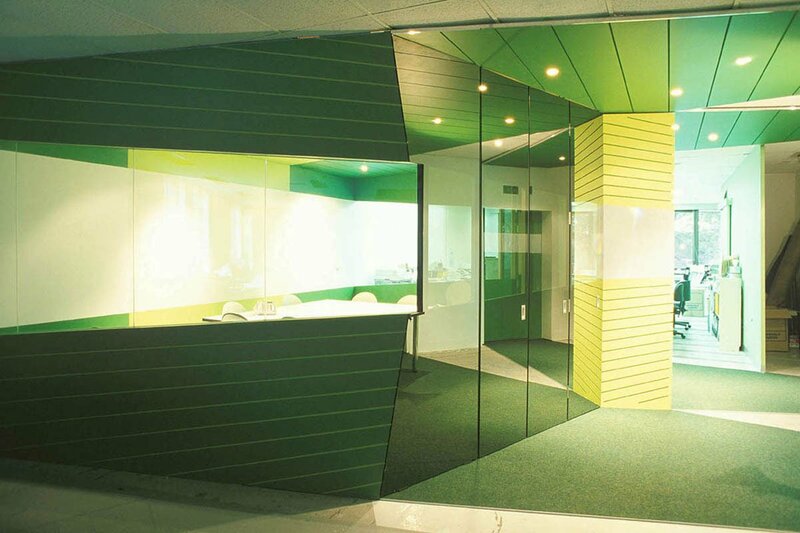 These help to unify the scheme in a chlorophyllic haze of surface material, lighting and mirrored reflection.